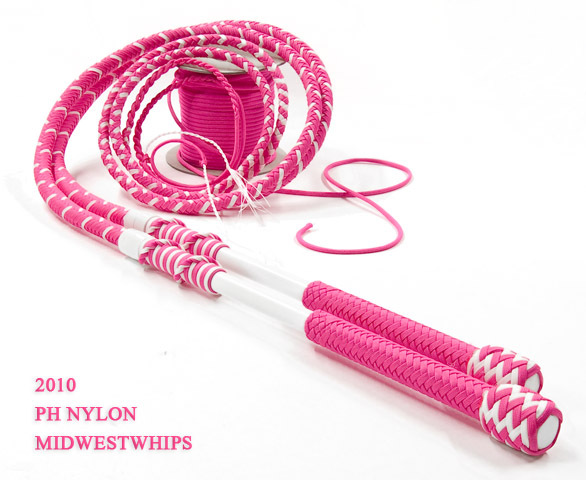 This custom matched pair of Performance Hybrid Nylon Whips with two-tone thongs was made for Michelle in Neon Pink and White. 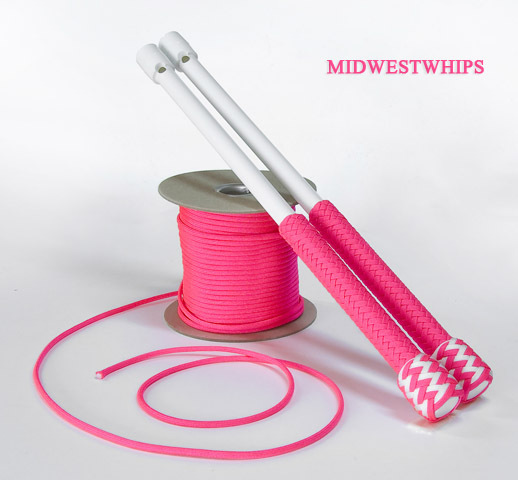 Check out our MidWestWhips Nylon Whips page for more information on Performance Hybrid whips, including how to order and paracord colors available. This entry was posted on Thursday, February 24th, 2011 at 1:51 pm	and tagged with NeonPink, White and posted in Nylon Whips, PH Custom, Whips. You can follow any responses to this entry through the RSS 2.0 feed.